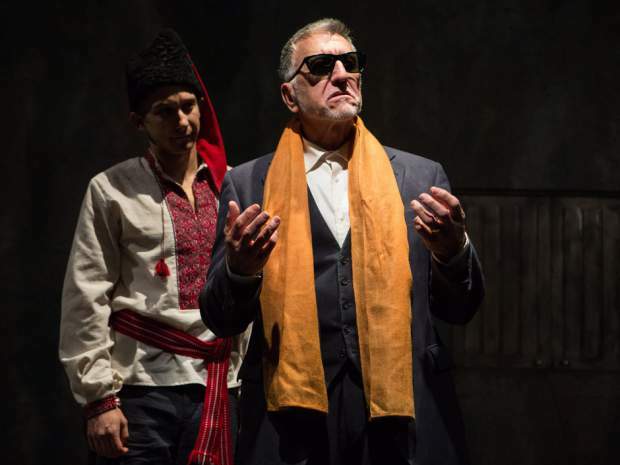 Wormwood, a new play by Andrew Kushnir (Loran Scholar ’98), was reviewed by Robert Cushman of the National Post. There is a wonderful image towards the end of Andrew Kushnir’s new play Wormwood, beautifully realized in Richard Rose’s production. A young man in a garden begs a young woman to come away with him while her father, previously opposed to their union, fervently advances a counter-proposition. Meanwhile, from a window above, the family next door – another father and daughter, plus a mother – look down in mingled fury and despair, beseeching the boy to take their girl instead. Out of the window they dangle two bedsheets tied together: an improvised ladder. This is how the young man, like the prince in a fairy tale, got into the garden in the first place. Now they want him to use it to get out again.